Skyrack Angoras is the name of Lesley Hordon’s stud in West Yorkshire. Skyrack is the name of the old Viking Wapentake, and means Shire Oak. Lesley has kept Angora rabbits for 20 years. 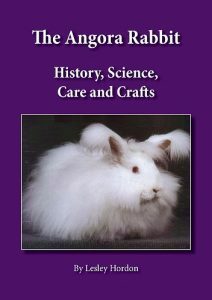 She breeds Lilac, Chocolate, Blue and Smoke Angoras, and has a large White rescue Angora, Dominic, who is popular at craft festivals. Lesley is Chairman of the National Angora Club. 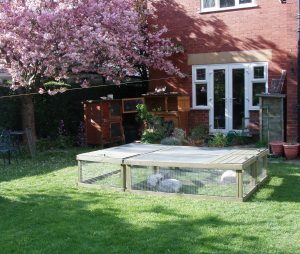 She has a keen interest in rabbit welfare, and is also a member of the British Rabbit Council Animal Health and Welfare Committee. A spindle spinner since the age of 12, she enjoys lace knitting with Angora and silk. 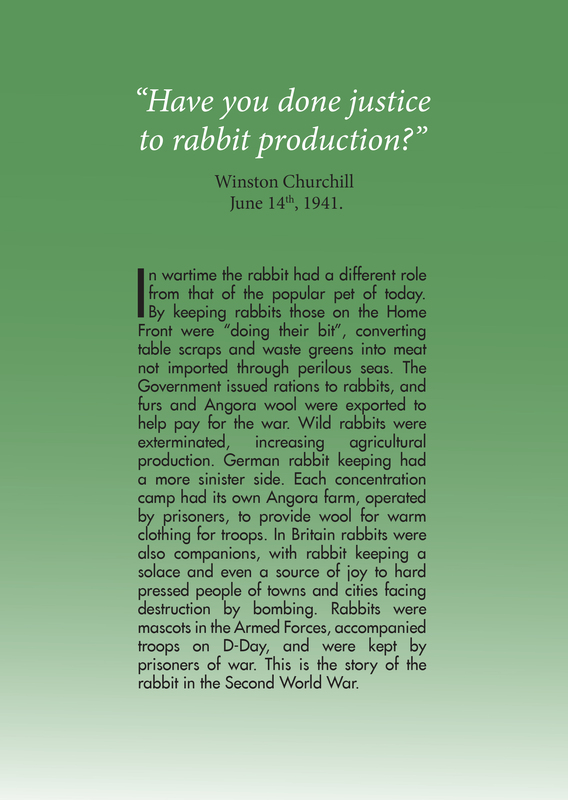 She is the author of “The Angora Rabbit. History, Science, Care and Crafts” available from http://www.furandfeather.co.uk/shop-2/bookshop/rabbits/rabbit-breeds. 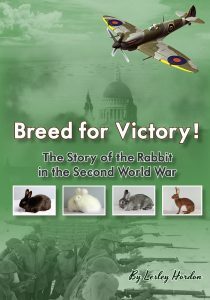 Whilst researching for the book she found a wealth of material on the role of the rabbit in wartime, which led to “Breed For Victory! 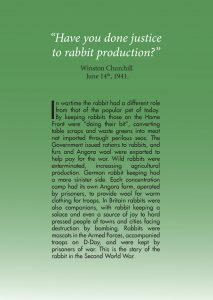 The Story of the Rabbit in the Second World War.” http://www.furandfeather.co.uk/shop-2/bookshop/rabbits/general-interest. 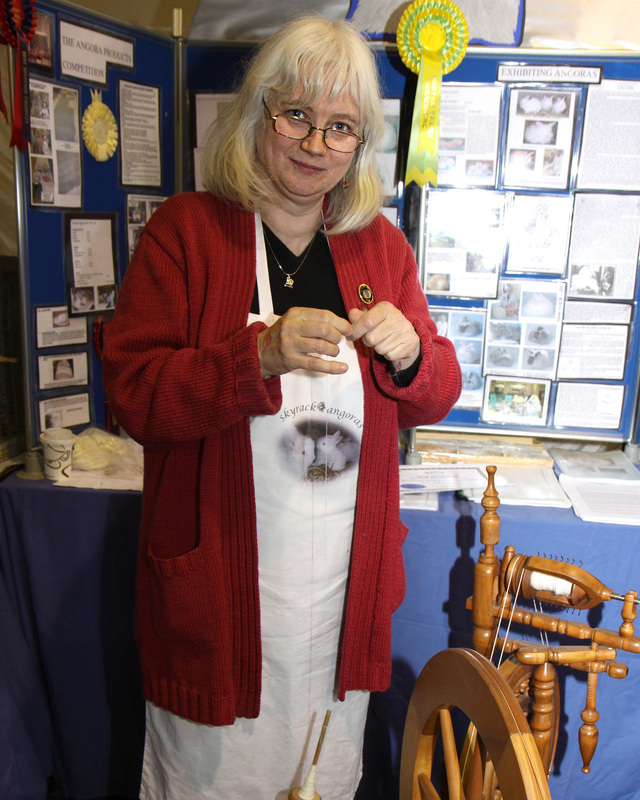 Lesley arranges wool sales on a cooperative basis for the National Angora Club, organises the National Angora Club Stand at craft festivals and gives talks on the Angora Rabbit. Posted 19/10/2017 by LH & filed under Members.